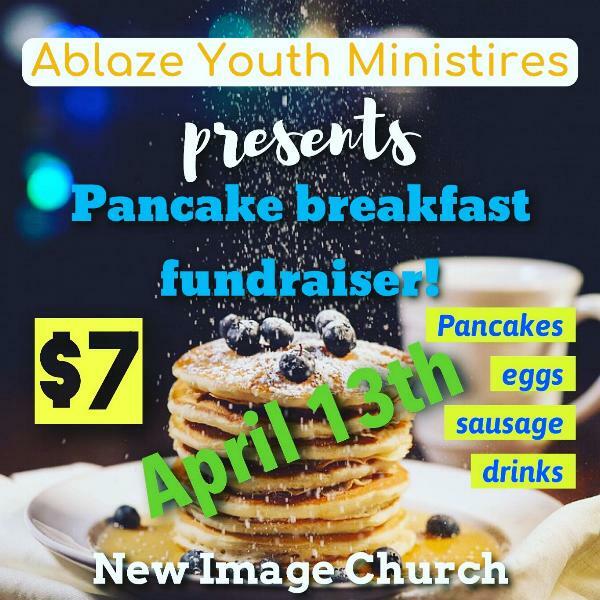 Ablaze is having a pancake breakfast fundraiser Saturday, 4/13 8am-11am! Tickets are $7 each. Plate includes: Pancakes, eggs, sausage, & drinks. This fundraiser will help lower the cost of our Ark Encounter trip at the end of the summer. Come out to have a great breakfast and support our youth! See Marlyn or Jacque for more information.